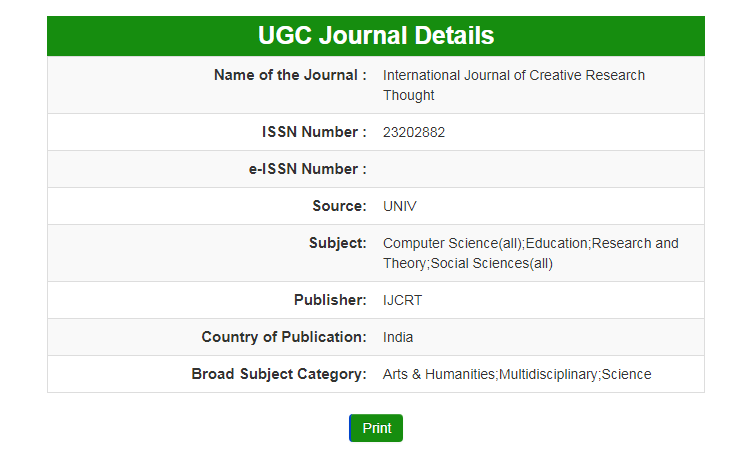 Login in your AUTHOR HOME account (LInk- http://www.ijcrt.org/Authorhome/alogin.php) by your paper registration id and first author mail id. Only maximum 5 authors will be allowed for single paper publication. 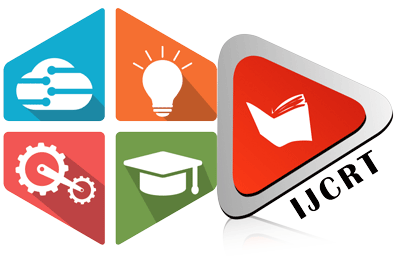 Our basic Open Access Processing Charges fee(Rs. 2100) include only 5 authors. 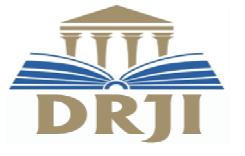 Our basic Open Access Processing Charges fee(Rs. 2100) NOT include hardcopy of certificate, confirmation letter and published paper. 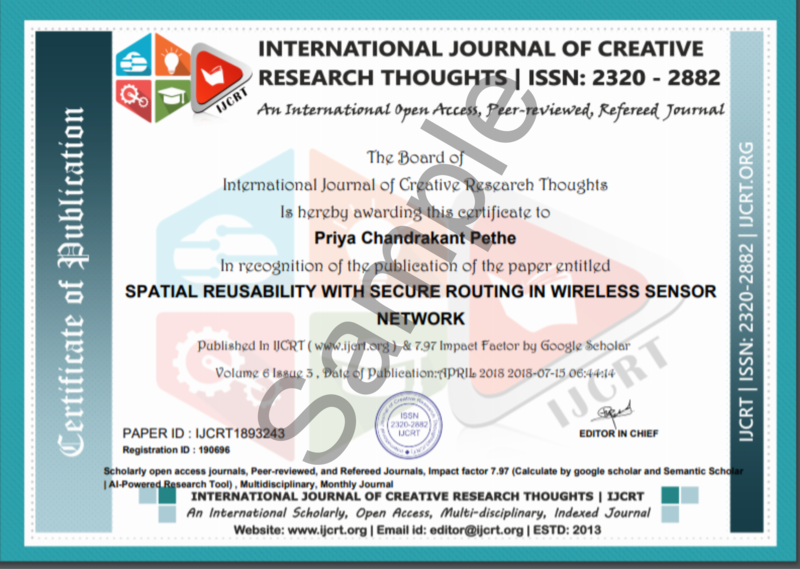 And if you want to hardcopy of the certificate, confirmation letter and published paper then author have to pay 500 Rs and DOI 400 addition charges. 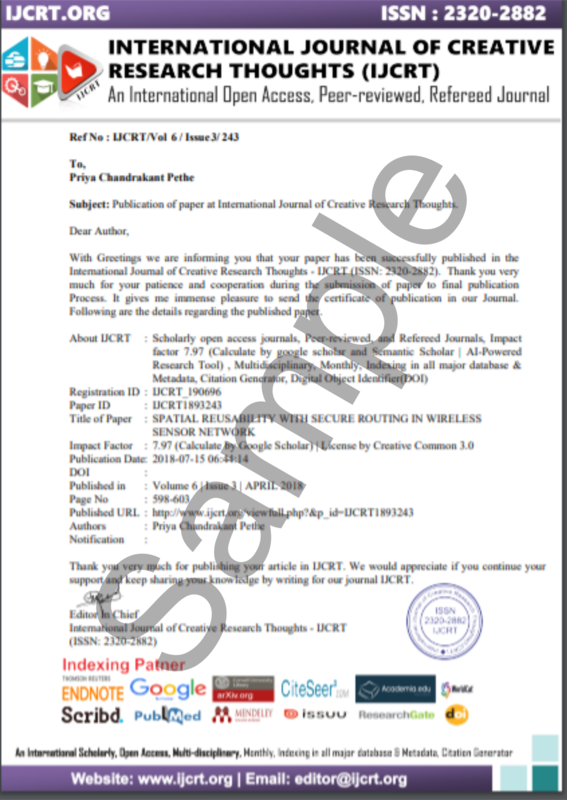 Kindly Contact editor@ijcrt.org for credentials.